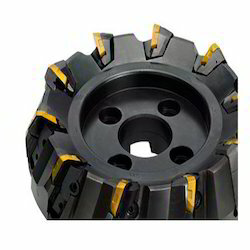 Manufacturer of a wide range of products which include end mill cutters and face mill cutters. We are a highly acclaimed provider of End Mill Cutters. 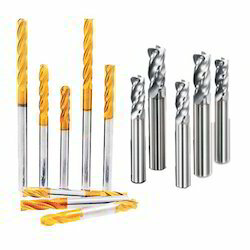 The wide range of the End Mill Cutters comprises of HSS End Mill Cutters and Solid Carbide End Mill Cutters. These End Mill Cutters are used on CNC, conventional or special purpose machines of various capacities for machining of metal. We offer hole mill cutters along with the End Mill Cutters to a globally spread client base. Bestowed with an ingenious team of designers and advanced production unit, we have been able to introduce an exclusive range of Face Mill Cutters. This face mill is manufactured adhering to industry standards and entire set quality norms. In addition, the offered face mill is manufactured using approved stainless steel alloy. At our production unit, our professionals opt for stringent quality tests made on bending, length, shape, largeness, thickness and complete dimension.